Imagine buying yourself a new sports car. It’s a shiny new cherry red number with an eight cylinder engine and can go from 0 to 60 miles per hour in just four seconds. Now imagine you live in an area the speed limit is 25 mph everywhere, and there are no highways. What, then, was the point of you buying such a car? Sure, it looks cool, but ultimately you’ve wasted your money on features you’ll never be able to use. Sounds silly, right? But this is the exact kind of thing that business owners do all the time when it comes to mobile POS. They buy some iPads and subscribe to a top-notch cloud based app to handle their sales, but they hang on to the peripherals they’ve already got to save a little money—peripherals like a wired receipt printer that’s as mobile as a rock after a heavy sedative. It pretty much defeats the purpose of a wireless point of sale if you’ve got to run back to the front counter and grab the receipt when the transaction is complete. And having it all in the cloud is great fun—as is taking your operation on the road—but if your customers want paper receipts, you can forget about a plug-and-play set up. 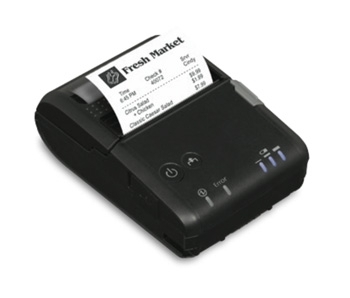 That old receipt printer will need to be wired into the back of a wireless router, on a private network you’ll need to create, in order to communicate with your POS device of choice. If this sounds familiar to you, it might be time to re-think your mobile strategy. When mobile POS was first introduced, the ability to play well with existing hardware was a selling point—and rightly so. Many people were nervous about the prospect of running a point of sale system in the cloud or on a consumer mobile device. It was, at the time, an unproven and largely untested platform on which to run a retail business. Those who were brave enough to give it a shot weren’t excited at the prospect of throwing money at new hardware. More to the point, though, hanging on to old hardware is a mindset leftover from the legacy software days. Developers had an easier time convincing business owners to invest $10,000+ in the latest applications if they didn’t have to get them to pony up for all new gear. But those days—the ones of traditional POS and early attempts at cloud apps—are long gone. Tablets have proven their mettle, and connectivity issues have been addressed with offline capabilities. So why take the bold step into the next frontier of computing if you’re going weigh it down with the weight of history? It’s like getting married for a second time and making your new spouse wear your ex’s old clothes. Move forward already. Now let’s reimagine that shiny new cherry red sports car. It’s hot and you want to take it everywhere, right? That’s the idea behind cloud printing, which—admittedly—is not nearly as hot as a sports car. But still, you can take it anywhere: no more limits on when and where you can print. This is exactly the sort of technology Epson has been leading the way with, and it’s partnered with one of the more forward thinking POS apps to make cloud printing a reality. With something like their P20 device, a tiny little thing that weighs under half a pound, employees can easily clip it to their belts and truly free the point of sale from the checkout counter. It’s wireless, waterproof, and can withstand subzero temperatures, meaning it can go just about anywhere and work in any kind of conditions. It’s only Kryptonite is a lack of internet connection, so don’t open that pop-up thrift sotre in your grandparents’ house just yet. But anywhere else your business might take you is pretty much fair game at this point. If you’ve gone down the mobile road already, you know how great it is to untether yourself from the limitations of wired, local computing: you’ve been able to run and monitor your business remotely. Cloud printing is just the last piece of the puzzle, and extends the benefits beyond your managerial reac. Your employees can take a payment and hand over a receipt in a matter of seconds. For restaurants, your customers can place an order and have it print out directly to your kitchen. Isn’t it about time you stopped being held hostage by old hardware? Dave Eagle is a writer for Kounta, makers of the Kounta POS, a cloud-based point of sale system that works on any device.